The Israeli occupation has been marked by a brutal and bloody conflict. The last four years of Ariel Sharons rule in Israel have been some of the most violent on record as more than 3,500 Palestinian civilians and approximately 1,000 Israelis have been killed.2004 witnessed a relative decline in violent deaths compared to the previous three years. In terms of Israels colonization activities, however, this year was one of the most sinister on record. During 2004, Israel rapidly expanded its settlement infrastructure in the OPT, constructed large sections of the Segregation Wall and appropriated additional Palestinian lands for the purpose of Israeli colonization. The accelerated settlement expansion in the Western Segregation Zone reflects Israels intention to physically connect this area to Israel. Settlement construction west of the Segregation Zone createsfacts on the ground and the type of â? ?new realities Bush spoke of in his letter of April 2004. These settlements are being expanded onto Palestinian lands adjacent to the Wall and between Israeli settlements and towns inside the Israeli border. As a result, new housing units physically link the illegal settlements to Israel, creating contiguous Israeli areas. Thus, although Israel has said it is leaving Gaza, it has continued to build walls and other security facilities on Palestinian land near the settlements of Netzarim and Kfar Darom. The walls and other structures extend the borders of the illegal settlements and bring larger areas of Palestinian land under direct Israeli control. The expansion of the Gaza settlements and the construction of new walls and security facilities contradict the stated intentions of Israel39;s 39;disengagement plan39; Far from seriously moving ahead with the plan, the Israeli government is expanding and consolidating its settlements. According to the Gaza-based Palestinian Centre for Human Rights (PCHR), these measures 39;are part of a broader plan to expand direct Israeli territorial control in many areas of the Gaza Strip.â?? In fact, PCHR noted &#39;a clear increase in the use of land seizure orders in the Gaza Strip in 2004. According to research conducted by the GIS Unit at ARIJ, there are 158 Israeli settlement outposts in the West Bank. The study, completed in December 2004, is available on ARIJ39;s website. ARIJ has tracked the development of Israel39;s settlement outposts since 1996. In the last 9 years, Israel has exponentially ex panded its settlement outposts in the OPT. In 2004, outpost construction reached a new high as 9 settlement outposts were founded in the OPT. Most new Israeli outposts are concentrated in the northern and central parts of the West Bank, including the Jerusalem Governorate with 13 outposts, the Ramallah Governorate with 40 outposts, the Salfit Governorate with 13 outposts, and the Nablus Governorate with 28 outposts (see Table (2)). Consecutive peace agreements between Israeli and Palestinian negotiators maintain that Israeli settlement activities in the OPT must cease. The most recent peace plan, &#39;The Roadmap,39; held that the dismantling of the settlement outposts should be a first step in recognizing the rights of Palestinians to live in an independent Palestinian state. Israeli Prime Minister Ariel Sharon made a public statement at the signing of 39;The Roadmap,39; stating that: 39; In regard to the unauthorized outposts, I want to reiterate that Israel is a society governed by the rule of law. Thus, we will immediately begin to remove unauthorized outposts. Israeli occupation authorities, however, have refused to engage in a full scale campaign to remove the outposts. Instead, Israel has used the issue of the settlement outposts to deflect criticism from expansion projects in the established settlements and the construction of the Segregation Wall in the OPT. For instance, from February 2001 to November 2002, Israel removed settlers and some caravans from 10 settlement outposts. During that same period 61 new outposts were established. Israel39;s evacuation game is intended to appease critics in the international community and within Israel without changing the facts of the ground in the OPT. Most of the outposts Israel has targeted for39;evacuation39; have few permanent inhabitants, hardly any caravan homes and no infrastructure whatsoever. In addition, government orders for evacuation of the illegal outposts are often either ignored or reversed at the first opportunity. Reports from the field conclude that outposts the Israeli government 39;evacuates39; with much fanfare are commonly re-occupied at a later date. In addition, Israel has attempted to make a false distinction between39;legal39; and 39;illegal39; outposts. Under international law all settlements (including outposts) are illegal and must be removed. Israel is attempting to use the terminology of 39;legal39; and 39;illegal39; to facilitate the development of the current outposts into permanent settlements. 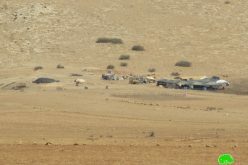 Despite Israel39;s reported efforts to 39;dismantle39; the settlement outposts, the number of outposts continues to increase all over the OPT. In 2004, Israel expanded the by-pass road system by constructing several new by-pass roads and consolidating its control over other routes. The continued expansion of the illegal settlement infrastructure, including by-pass roads, in the OPT exhibits Israel39;s intention to maintain its dominance over the land and people of Palestine. A vast network of over 441 barriers has been constructed in order to control Palestinian movement in the occupied territories. There are currently 61 permanent military checkpoints spread throughout the West Bank along with at least 25 temporary and flying checkpoints set up randomly by Israeli occupying forces. In addition, earth mounds, concrete roadblocks, iron gates, fences, trenches and walls have been built on roads throughout the West Bank severing the connections between Palestinian cities, rural areas, and enclaves. Checkpoints can be a major deterrent for Palestinian travelers on any road because of the extensive delays, security searches, as well as physical and psychological abuse by Israeli soldiers. For instance, Palestinian drivers often wait hours at checkpoints during which time Israeli occupying forces may confiscate ID cards and/or the keys to vehicles. This network of barriers, including military checkpoints, allows Israel to control and monitor Palestinian access to the by-pass road network. In recent years, especially since the beginning of the second Intifada in October 2000, the Israeli government has significantly expanded the number of operational checkpoints, while also frequently employing temporary checkpoints on roads throughout the OPT. In addition, Israel has consolidated and developed many existing checkpoints, making them larger and more permanent. Table (c) shows the location of Israels barriers and checkpoints in the West Bank. The past 12 months have witnessed harsh Israeli restrictions at checkpoints throughout the OPT. Restrictions have been especially severe, however, at certain strategic checkpoints. In the West Bank, the cities of Hebron (especially the old city), Nablus and Jenin have faced sustained closures. Israeli occupying forces at Al Hamra and Tayaseer checkpoints in the Tubas District have also imposed harsh procedures on Palestinian civilians moving through the area. In the Gaza Strip, Israeli soldiers continue to impose especially severe restrictions at checkpoints accessing Al Mawasi, Al Sayafa and Al Ma39;ni areas near illegal Israeli settlements. The checkpoints leading into these areas are also the site for constant harassment and abuse as is Abu Houli checkpoint in the center of the Gaza Strip. Near the end of 2004, Israel also began to construct what is believed to be a second major checkpoint along the Beach Road south of Gaza City in the Gaza Strip. Israel also strengthened and further institutionalized its permit system in 2004. The construction of the Segregation Wall and Israeli plans to further develop the illegal and discriminatory by-pass road system in the OPT have created the conditions for these changes. As a result, increasing numbers of Palestinians have been forced to apply for Israeli permits to access their homes, their agricultural land, and/or neighboring towns and villages. Additional Palestinian communities, such as Al Sayafa in Northern Gaza, have also been issued magnetic identity cards which they must display to pass through certain Israeli checkpoints and access their homes or lands. The checkpoint and permit systems allow Israeli occupation authorities to control and monitor Palestinian movement between towns and enclaves. Israel has also taken additional actions aimed at enlarging and further institutionalizing certain checkpoints in the OPT. In fact, Israel has consistently developed the checkpoints over the past 4 years to become more permanent. Currently, development projects are further institutionalizing certain strategic checkpoints such as the Bethlehem Checkpoint, Qalandyia Checkpoint (between Jerusalem and Ramallah) and Huwwara Checkpoint (in Nablus). Israeli occupying forces in the West Bank and Gaza Strip continued to impose a state of closure, including restrictions on trade and travel, for much of 2004. Despite numerous statements by Israeli government and occupation authorities to the effect that they would relax restrictions on Palestinians&#39; freedom of movement, travel through many checkpoints in the West Bank and Gaza Strip remained subject to extreme limitations. In particular, Israeli occupying forces have imposed radical restrictions on Palestinian travel at the borders of the West Bank and Gaza Strip. In 2004, as in previous years, the Muslim holy month of Ramadan (October 14 â?? November 13) witnessed an intensification of closure policies, making travel and trade extremely difficult for Palestinians in the OPT. The Gaza Strip, in particular, has been the target of Israeli imposed closure policies. In particular, Rafah Terminal (Gaza&#39;s only border crossing) has been the site of significant and prolonged abuses by Israeli occupying forces. All Palestinian civilians passing through the terminal are required to have permits from Israeli occupation authorities. Palestinian travelers wishing to cross into Egypt are often subject to long waits, sometimes amounting to days or even weeks. At one point near the end of Ramadan there were a reported 8,000 people stranded at the Rafah Terminal, waiting for permission to enter or leave the Gaza Strip. Age and gender requirements have also been imposed at the terminal. Since 16 April 2004, Palestinians between the ages of 16 and 35 have been prohibited from traveling through the Rafah crossing. Israeli occupation authorities claimed that they voided this provision on 9 August 2004, but the restrictions continue. In addition to the Rafah Terminal, Israeli occupation authorities have imposed strict regulations on the Gaza Strip&#39;s three commercial crossing points to Israel, including Erez, Karni and Sofa crossings. Standard Israeli policies prohibit the access of Palestinian civilians without work permits. However, for the final three months of 2004, Israeli occupying forces closed the crossings to all Palestinian workers. The closure severed the only source of income for thousands of Palestinian families dependent on work inside Israel. As a result, the economic and humanitarian crisis in Gaza has deepened. Israeli occupation authorities also severely restricted the flow of goods through the crossings, resulting in significant shortages of necessary commodities inside the Gaza Strip. Closures, including the Separation Barrier, prevent the free flow of Palestinian economic transactions; they raise the cost of doing business and disrupt the predictability needed for orderly economic life. Without major changes in the closure regime and significant progress in the Palestinian reform program to improve the climate for private investors, there is no prospect of a sustained recovery of the Palestinian economy. Israeli occupation authorities have used closure as a means of collective punishment and as a systematic policy aimed at the Palestinian economy and the ability of the Palestinian people to support themselves. The closure policy plays a crucial role in the 39;de-development39; of the Occupied Palestinian Territory. As Dr. Sarah Roy explains, de-development entails the 39;deliberate, systematic deconstruction of an indigenous economy by a dominant power39; Israel39;s closure policy, imposed mainly through the infrastructure of checkpoints, entails such a strategy. In fact, a recent report released by the World Bank projects that if the current Israeli closure policies are maintained, unemployment in the OPT will reach 37% (49% in the Gaza Strip) and 62% of the Palestinian population (76% in the Gaza Strip) will be living in poverty by 2008. Israel began work on the Second Phase of the Segregation Wall in March 2003. Most of the construction in the Second Phase, however, took place in 2004. In 2004, Israeli occupying forces focused their efforts in the central sections of the West Bank, mainly around Ramallah, Jerusalem and Bethlehem. In the Ramallah District, Israeli occupying forces began work on the Segregation Wall around the village of Beit Sira (22 km west of Ramallah). On December 14, 2003, Israeli occupying forces issued military order number 03/104/T, seizing 149 dunums (0.15 km2) of land in Beit Sira for erecting the Segregation Wall. The order was later amended to include a section of Wall that splits the village into two parts. As the residents of Beit Sira elevated the level of protest against the Segregation Wall, Israeli occupying forces temporarily stopped construction to re-evaluate the route of the Wall in the area. On June 24, 2004, Israeli occupying forces issued military order number 03/105/T (categorized as a 39;Border Amendment39;) shifting the route of the Segregation Wall west of Beit Sira39;s built-up area. The new route runs along the Horon (Latrun) road, which is also the proposed 39;safe passage39; route between the West Bank and Gaza. According to this new plan, the Segregation Wall will isolate 2,167 dunums (2.2 km2) of Beit Sira&#39;s lands.. The residents of the village will be left with 953 dunums (less than 1 km2), only 12% of Beit Sira39;s original area. In early February 2004, Israeli bulldozers began to bulldoze cultivated lands to set the path for the Segregation Wall in the western villages of the Ramallah District and Northwest Jerusalem. Palestinian residents of nine villages (Beit Surik, Biddu, Qattana, Al Qubeibeh, Beit 39;Anan, Beit Leqia, Beit Duqqu, Beit Ijza, Nabe Samuel and Beit Iksa) led a sustained campaign of nonviolent resistance to the destruction of their lands and the ghettoization of their communities. The residents also resorted to legal means to stop the mutation of their land and took their case to the Israeli Supreme Court. The residents of several villages were joined in court by Israeli representatives of the neighboring town and settlement of Mevetserat Tsyion who nonviolently protested with the villagers. The villagers were able to obtain an injunction to halt all work and the Court ruled that the Wall in the area had to be rerouted. The Israeli High Court ruled on June 29, 2004, that Israel must halt construction of a 30 km section of the Segregation Wall affecting nine Palestinian villages located north and northwest of Jerusalem, including Beit Surik, Biddu, Qattana, Al Qubeibeh, Beit Anan, Beit Leqia, Beit Duqqu, Beit Ijza, Nebe Samuel and Beit Iksa. The Court39;s order came as a result of an appeal presented by Palestinian residents of the nine communities. The residents filed suit in an attempt to preserve their rights under international law and domestic Israeli law and to challenge the Wall39;s location which isolated them from neighboring Palestinian areas in the West Bank. · The Segregation Wall is legal under domestic Israeli law but the path along the north and northwest Jerusalem should be changed to address humanitarian concerns. · Israel39;s High Court specified that certain changes should be made in the wall39;s route in order to address humanitarian concerns and the rights of the affected communities. In October, 2004, Israeli occupying forces were again active in the area. Israeli soldiers distributed three new military orders (number04/75/T, number04/75/T and number04/75/T) to Palestinians living in the above mentioned villages stating a new route of the Segregation Wall to be implemented. The route differs from that published at the website of Israel39;s Ministry of Defense on June 30, 2004. 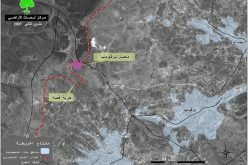 An analysis of the new Israeli military orders and satellite images of the targeted villages demonstrates that the current path of the Segregation Wall will result in the confiscation of a total area of 840 dunums (0.8 km) and runs a length of 14 km. The Wall also appropriates large segments of Palestinian land, cutting them off from the villages and enclosing them in Segregation Zones. Despite changes made in the route, the new orders do not move the Wall to the Green Line (the 1948 armistice line and Israel39;s internationally recognized border). · Military order number 04/75/T specifies that the Wall will cut within 180 meters of Palestinian homes in Biddu village. Some sections of the Wall will be set exactly on the Green Line whereas other sections reach as far as 1,000 meters into the occupied West Bank. As a result, the Wall will have the effect of dramatically redrawing the border between Israel and the West Bank in order to annex the illegal Israeli settlement of Har Adar. · Military order number 04/76/T cuts within 600 meters of homes in Beit Surik village. The new sections of the Wall in this area include gaps between sections which Israel considers to be State Lands, therefore, no military orders are required. · Military Order number 04/87/T severely affects the village of Beit 39;Anan. A long section of the Segregation Wall will be built on Beit &#39;Anan lands (a full 1,700 meters away from the Green Line) and will cut within 1,000 meters of the village39;s built-up area. The village of Kherbit Um Al Lahem (west of Beit 39;Anan) is also affected due to the village&#39;s close proximity to the Green Line. The Wall will cut within 30 meters of residents&#39; homes located at least 700 meters from armistice line. The Segregation Wall in East Jerusalem facilitates Israels colonization plans for the city. This strategy aims to limit the Palestinian areas and appropriate additional lands for illegal Israeli settlement construction and other development projects. When complete, the Wall in East Jerusalem will stretch for more than 113 km, annexing Israeli settlements in the area, grabbing open areas, and slicing between Palestinian towns. The goal in East Jerusalem, as in the rest of the West Bank, is to appropriate as much Palestinian land as possible and sever the traditional connection between Jerusalem and the rest of the West Bank. The Second Phase of construction on the Segregation Wall severely affected 8 villages and suburban centers in East Jerusalem. Wall construction moved in sections throughout the Jerusalem envelope, from Al Ram in the north to Abu Dis in the south (See Table (d)). The Wall in Al Ram moves from the large and busy Qalandyia Checkpoint, on the road to Ramallah, around the city to the south. When complete, the Wall will encircle Al Ram on three sides leaving only two exits. The first, at Al Ram checkpoint south of the city, which will be controlled by Israeli soldiers and only accessible to those holding special permits. The second, will lead away from Jerusalem towards Ramallah, and may also be controlled and monitored by Israeli soldiers. The Segregation Wall cutting close around Al Ram is rapidly turning the town into another Palestinian ghetto. East of Al Ram the Segregation Wall appropriates additional lands adjacent to Neve Yaacov settlement. The settlement is partially built on Al Ram lands and the Wall will open up vast areas for the expansion of Neve Yaacov or the construction of a new settlement in the region. Israeli peace group, Gush Shalom, reports that Israel plans to build additional settlement units in the area, although that reports cannot be verified at this time. Southeast of Al Ram, the Wall slices through the village lands of Hizma (7 km northeast of Jerusalem). The Wall runs for 5 km along the Western portions of the village lands and appropriates 4,318 dunums (4.3 km2) of Palestinian land to the Israeli occupation authorities and illegal Israeli settlements in the area. The lands will be de-facto annexed to the illegal Israeli settlements of Neve Yaacov (est. 1972) and Pisgat Zeev (est. 1985), which dominate the hills west of the village. In addition, the settlements of Anatot (Almon) and Adam (Gevat Benyamin), as well as a settlement outpost, east of Hizma, have facilitated the appropriation of additional lands from the village. These settlements are encroaching upon Hizma and aggressively colonizing additional portions of the village land. As a result, Hizma is rapidly becoming a tiny and isolated ghetto squeezed between the Segregation Wall and the illegal Israeli settlements. In sum, the Segregation Wall and the settlements have appropriated at least 6,310 dunums (6.3 km2) of Palestinian land around Hizma. As a result, residents have access to only 3,224 dunums (3.2 km2) around Hizma, only 31% of their village lands. The majority of Hizmaâ? ?s residents (at least 55%) depend upon the village lands for agriculture or grazing. Without these lands, the economic sustainability of the village is questionable. The Wall and settlements around Hizma represent a real and current threat to the livelihood of the village and its residents. South of Hizma, the Wall encircles the village of 39;Anata and the neighboring Shu39;fat Refugee Camp. On June 27, 2004 Israeli occupying forces started land clearing operations for the construction of the Segregation Wall around the town and camp. Over the course of the year, Israel erected segments of the Wall north of the area, between 39;Anata and the settlement of Pisgat Ze39;ev. Most of the Wall, however, has not been finished in this area. Construction of the Israeli Segregation Wall threatens to turn 39;Anata and Shu39;fat Refugee Camp into a tiny ethnic ghetto. Current Israeli military orders show the path of the Wall cutting in on the area on two sides and a projection of the Wall39;s path places it close to the southern edge of the 39;Anata as well. As a result 39;Anata and Shu39;fat Camp will be surrounded on all sides and residents will be left with only one entrance which may be controlled by Israeli soldiers. The Wall will also open up additional territories for the expansion of neighboring illegal Israeli settlements. The path of the wall has been planned to include the illegal Israeli settlement of Pisgat Ze39;ev, north of the village as well as the open space between 39;Anata and the illegal settlement of Ma39;ale Adummim to the south. Israel has zoned this area as 39;E139; and plans to use it for the expansion of Ma39;ale Adummim settlement. The Segregation Wall will be running south from 39;Anata to annex the large open areas and Israeli settlement blocs between Jerusalem and Jericho. Here the Wall and settlements effectively cut the West Bank in half, severing the northern cantons around the cities of Ramallah, Nablus and Jenin, from the southern cantons around Bethlehem and Hebron. The Wall will eventually encircle the sprawling settlement of Ma39;ale Adumim and join with sections erected in 2004. The sections of the Wall east and southeast of Jerusalem run through the towns of Al Eizariya (Biblical Bethany), Abu Dis, Al Sawereh Al Sharqieh and Al Sheikh Sa39;d. In 2004, nearly 1,000 dunums (1 km2) were confiscated from these towns to build the Wall which runs for 21 km in the area. The Wall penetrates the Palestinian residential areas, splitting communities in two and separating neighbors and families. The Wall also impedes on several religious sites dating to Biblical times and lands from three monasteries (Der Almahaba, Der Gargoury and Der Beit Fajey) were confiscated in Al Eizariya. Israeli occupying forces began construction of the wall in Abu Dis in December 2003. Since Israeli restrictions have made it impossible for most Palestinians to reach Jerusalem, the city of Abu Dis has become a vital center to several surrounding Palestinian communities. The Wall squeezes in on the town from its northwestern and southwestern boundaries and cuts through the urban area segregating families and neighbors. In October, 2004, Israeli occupying forces verbally notified 17 Palestinian families that they would be forced to leave their homes. Israel claimed that the houses and property were located on Israeli State lands. The 17 families hold identification for West Bank residents, but are isolated on the western side of the Segregation Wall. Since they do not possess 39;permanent resident39; status in Jerusalem, Israeli occupation forces have demanded that the families leave their homes. The Israeli soldiers notified them that they are now required to move to the eastern side of the Segregation Wall farther within the West Bank. The IOF have not offered any compensation or alternative housing for the families. The affected families have been living in their houses for decades; some of them have lived on the land since before the emergence of the Israeli State in 1948. This case is only one example of the way the Segregation Wall has torn through Abu Dis. A total of 70 km2 will be isolated behind the Segregation Wall and annexed to Israel from the Bethlehem District. When complete, the Wall will stretch approximately 50 km through the Bethlehem District. Sections of the Segregation Wall northeast of Bethlehem and Beit Jala were completed in 2003. Construction continued, however, in several areas, including sections East of Bethlehem, around Beit Sahour and outlaying villages, around the northern entrance to Bethlehem and the JerusalemHebron road, and farther west from Beit Jala to Bethlehem39;s western villages. Over decades of occupation, Israeli occupying forces have carried out endless measures of intimidation in order to drive out the residents living within the vicinity of Bethlehem northern entrance (8 km south of Jerusalem) and seal the historic road between Bethlehem and Jerusalem. In 2003, 15 km of the Segregation Wall were built near Bethlehem&#39;s northern entrance as part of Phase One of the Wall construction. This section isolated more than 15,000 dunums of Palestinian agricultural lands planted mostly with olive trees belonging to Palestinian citizens living in the Bethlehem area. Plans for the Segregation Wall also reveal that Israel will unilaterally annex the site of Rachel&#39;s Tomb located near the northern entrance of Bethlehem. Rachels Tomb marks the burial site of Jacob39;s wife, Rachel, who died during childbirth on the way to Hebron from Jerusalem and was buried in Bethlehem. The tomb is a pilgrimage site for the three main monotheistic religions (Islam, Christianity and Judaism). This version of the Israeli Segregation Wall at Rachel39;s Tomb area virtually takes out all that is Palestinian from the area which Israel plans to annex once the Segregation Wall is completed. Furthermore, the only reason to make Israel exclude all the Palestinian houses from the area threatened for confiscation is that the former always intended to annex the ;Palestinian free; land. However, even with the new Israeli routing of the Segregation Wall that excludes Palestinian inhabitants, the new plans barricade many Palestinian residences and stores in the area from the main road forcing them to open new and costly alternative accesses to reach their houses and stores, which consequently will suffer depreciation in their value. The route of the Segregation Wall will maintain its original routing that closes-off the main entrance of Bethlehem and Segregates thousands of cultivated (olive trees) Palestinian lands behind it; thus denying their Palestinian owners access to these lands. · On April 19, 2004, Israeli occupying forces served military order number 04/32/T to Palestinian families in the area, confiscating 175.6 dunums (0.18 km2) of land from Beit Jala and Al Walaja. · On June 2, 2004, residents of Beit Jala received military order number 04/57/T declaring the Israeli Army decision to confiscate 11.8 dunums (0.01 km2) for the construction of the Segregation Wall. The order included the outlet of one end of the northwestern tunnel located along Israeli By-pass Road #60 section penetrating Beit Jalas lands. The area confiscated belongs to several families of Beit Jala and is planted with olive trees, in addition to one residence directly adjacent to the tunnel entrance which will become inaccessible to its residents as the only side road leading to the house will be sealed off once the Segregation Wall is erected. · Israeli occupying forces began additional construction of the Wall on August 1, 2004. Israeli planners extended military order number 04/32/T over additional lands belonging to Beit Jala and Al Walaja. Implementation of the order actually resulted in the seizure of 345 dunums of land (0.35 km2) from Beit Jala and Al Walaja. The Segregation Wall in this area is enclosing Beit Jala and Al-Walaja leaving extensive lands adjacent to the settlement of Har Gilo free for Israeli expansion. The lands annexed from Beit Jala comprise 3040 dunums (3 km2), 42% of Beit Jala;s lands. On March 27, 2004, Israeli occupying forces scattered military order number T/31/04 on lands belonging to the village of Husan, west of Bethlehem. The order outlined the path of the Wall in the area. Five villages west of Bethlehem (Al Walaja, Battir, Husan, Nahalin and Wadi Fuqin) are being isolated by the Segregation Wall and cut-off from the rest of the Bethlehem ghetto. Construction of a secondary wall around the villages is also cutting them off from much of their lands and natural resources. When the wall is complete, Bethlehem&#39;s western villages may lose all access to public services and natural resources, including agricultural land, natural springs, and irrigation wells. Most of the residents of these villages depend on agriculture as their primary source of income. The loss of their lands and water may make it impossible for many of these families to sustain themselves in their native villages. Palestinian lands in the area are being appropriated for the expansion of Israeli settlements in the sprawling Gush Etzion settlement block. The Gush Etzion block includes 12 different settlements. Most of the settlements are currently undergoing expansion and closing in on the neighboring Palestinian communities. The area is one of the most severely affected by the Segregation Wall. It appears evident that Israel hopes to annex the Gush Etzion settlements. The Wall is placing the villages in shrinking ghettos with little hope for economic viability. It is feared that, as Israeli repression grows stronger, residents of the village may be forced to leave their homes in order to seek economic opportunities for their families. One of the most severely affected localities in the western Bethlehem District is the village of Al Walaja, 4 km northwest of Bethlehem. According to the Palestinian Central Bureau of Statistics, the population of the village is 1,593. The current site of the village was founded in 1948 when residents of the original village were forced to flee their homes in what is now Israel. The citizens of Al Walaja were never allowed to return to their original village and rebuilt their lives inside the West Bank. Following the Israeli occupation of the West Bank in 1967, however, the new village fell under increasing harassment by Israeli occupying forces. Between 2002 and 2004, 17 Palestinian homes have been demolished in the village. Another 53 homes have been issued demolition orders and may be destroyed at any time without warning. When Israel occupied the West Bank in 1967 it illegally expanded the municipal borders of Jerusalem to appropriate Palestinian lands around the city. Half of Al Walajaâ? ?s 7 km2 were included in the expanded municipal boundary (including all of the Ain Jawaizeh neighborhood). The Palestinian residents of the area, however, were not granted residency rights in Jerusalem. The village receives no municipal services and residents are not allowed to build homes in their village. Israel considers all building in Ain Jawaizeh to be illegal and subject to demolition. Home demolitions within the illegally expanded Jerusalem municipal boundary are a routine feature of Israelâ? ?s brutal military occupation of the Palestinian territories. In the last ten years, over 635 Palestinian homes have been demolished in Palestinian East Jerusalem, compared with less than 20 in Jewish West Jerusalem. There are usually other factors, however, which determine what homes fall victim to Israeli bulldozers. Many Palestinian homes are demolished to clear land for illegal Israeli settlements on occupied Palestinian land. Al Walaja, for instance is pinched between the settlements of Gilo (east of the village) and Har Gilo (to the southeast), which is currently expanding. Israeli plans call for the construction of a third settlement, to be named Givâ? ?at Yael, on the site of Ain Jawaizeh. The settlement will cover 1,028 acres and will house 55,000 Jewish settlers. The indigenous community is being depopulated to facilitate this Israeli settlement. 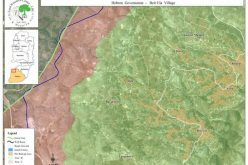 · A 2 km section of Wall is under construction from the village of Jabaa in the northwestern corner of the District to the lands of Surif and Khirbet Adeir. The Wall reaches up to 200 meters into the West Bank, appropriating large areas of Palestinian agricultural land. Almost 300 dunums (0.3 km2) of Palestinian lands were also confiscated in order to construct the Wall. · Israeli occupying forces have begun a 200 meter length of Wall around the village of Khirbet Adeir. At the end of 2004, the land had been cleared along the route of the wall, but no further work has been completed. · An additional section of the Wall is under construction between Khirbet Adeir and the village of Kharas. At the end of 2004, about 40 dunums (0.04 km2) of land had been cleared along the route of the wall, but no further work has been completed. · Wall construction has also begun on the lands of Beit Ula and Nuba villages. The Wall in this section penetrates the West Bank by up to 500 meters. Israeli occupying forces have confiscated about 700 dunums (0.7 km2) of land from the villages and, when complete, the Wall threatens to appropriate large areas of Palestinian agricultural land. · The largest section of the Segregation Wall under construction in the Hebron District stretches 15 km from the town of Edna to the village of Al Burj. The Wall cuts up to 500 meters into the West bank in this area, appropriating additional Palestinian lands. In addition, Israeli occupying forces seized approximately 4,500 dunums (4.5 km2) of Palestinian land in order to construct the Wall. The lands have been confiscated from the villages of Edna, Deir Samit, Beit Awwa, Sikka, Al Majd, Deir al Asal al Tihta, Deir al Asal al Fouqa, Beit Arrush, Beit Mirsim and Al Burj. On February 22, 2004, Israeli occupying forces served military orders to families near the illegal Israeli settlements of Netzarim and Kfar Darom in the middle of the Gaza Strip. The orders, which included diagrams and maps, stated that the seizure of land is carried out in light of the current security situation and for absolute military needs (security wall â?? Netzarim, Gaza) to establish security facilities. The confiscation isolated more than 300 dunums (0.3 km2) of agricultural lands in the two areas and consolidates Israeli control over the settlements in the Gaza area.The confiscation isolated more than 300 dunums (0.3 km) of agricultural lands in the two areas and consolidates Israeli control over the settlements in the Gaza area. Since the outbreak of the second Intifada on September 28, 2000, Israeli occupying forces have initiated severe attacks against Palestinian civilians and civilian property in the Occupied Palestinian Territory (OPT), characterized by a systematic campaign of house demolitions and land confiscation. These attacks caused devastating damages to the livelihood of the Palestinian population. Many Palestinians live with the daily fear that their land or their houses will be razed or demolished at anytime. Punitive measures taken by Israeli occupying forces cause a great deal of damage to the civilian Palestinian infrastructure and comprise crimes of collective punishment. Most destruction, however, is carried out in the context of Israeli settlement expansion or construction of the Segregation Wall in the West Bank and Gaza Strip. The Wall has facilitated continuing Israeli military operations to demolish Palestinian homes, destroy agricultural land and uproot olive trees, in order to clear a path for the structure. Chart (c) shows the Israeli violations in the West Bank during the year 2004. Home demolitions have been a constant feature of the Israeli occupation and have reached unparalleled levels in the past four years. In 2004, at least 1,428 Palestinian homes were destroyed by Israeli occupying forces and tens of thousands of Palestinian families have been left homeless. Home demolition campaigns are usually carried out at night without any warning. Residents of the houses are rarely given time to salvage their belongings. 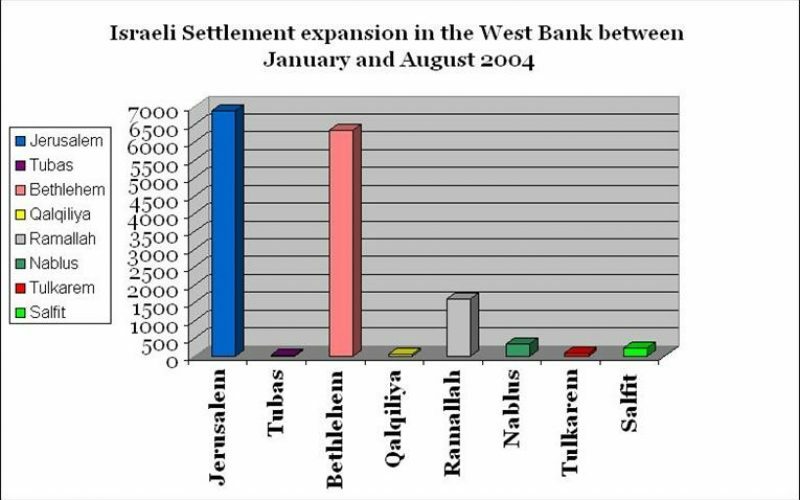 Chart (d) shows the considerable increase in the number of houses demolished in the West Bank during the year 2004. Israeli imposed planning and zoning restrictions require Palestinians to apply for permits before building new structures or renovating an existing structure on their land in East Jerusalem. The permit process is long, tedious, expensive and disadvantages Palestinian applicants. Buildings constructed without permits are usually demolished by Israeli authorities. According to studies conducted by ARIJ, at least 631 Palestinian houses have been demolished in Jerusalem during the last ten years. There were approximately 62 demolitions in 2004. Faced with the loss of their homes, many Palestinian families are forced out of the Jerusalem municipal boundaries. Home demolitions in East Jerusalem neighborhoods come within the context of an aggressive Israeli campaign aimed at the Israelization of Jerusalem. Following the 1967 war and the occupation of the West Bank, Israeli occupation authorities illegally expanded the municipal boundaries of Jerusalem to include the eastern part of the city and lands for 28 surrounding villages from the West Bank. The Jerusalem municipal area was expanded from 6.5 KmÂ&sup2; to 70.5 KmÂ&sup2; (growing to 10.8 times its original size). The expansion entailed the annexation of open spaces inside the West Bank which Israel has used to construct illegal settlements in strategic locations around Palestinian cities and villages. At the same time, Israeli occupation authorities began to enact numerous policies, such as home demolitions, aimed at limiting the Palestinian population in East Jerusalem. Thus, Israel has sought to increase the Israeli Jewish population of East Jerusalem while simultaneously minimizing the Palestinian presence in the area. Israel&#39;s most commonly used justification for its home demolition policy is that the demolitions are carried out for reasons of military necessity and ;security needs.&#39; This justification is used for nearly every policy imposed on the Palestinian population. In reality, the demolitions usually facilitate the further colonization of the OPT. Homes are often demolished in order to clear areas for the expansion of illegal Israeli settlements and by-pass roads. Since 2002, many homes have been destroyed in the land clearing operations along the route of the Segregation Wall. The Wall is built almost wholly within the Palestinian territories, cutting across Palestinian land and through Palestinian communities. In the Gaza Strip, over 2,000 Palestinian homes have been demolished in the last four years. These demolitions occur in Israeli patrolled buffer zones along the Gaza border and around illegal Israeli settlements. The southern city of Rafah has born the brunt of this policy. Israeli occupying forces are clearing a large buffer zone along the Philadelphi Route and the Segregation Wall separating Rafah from Egypt. Hundreds of homes have also been destroyed in the Khan Yunis Refugee Camp beside the Segregation Wall surrounding the Gush Katif settlement block and the Al Mawasi Palestinian ghetto. Since the beginning of the second Intifada, the Israeli government has employed home demolitions to carry out its policy of collective punishment. Israeli occupying forces have targeted the families of wanted individuals and individuals that have carried out suicide attacks inside Israel. In the past four years, well over 600 Palestinian homes have been demolished under this pretext. Agricultural lands and fruit trees have been systematically razed and uprooted throughout the Palestinian territory. In 2004, Israel confiscated or destroyed at least 51,942 dunums (approximately 52 km2) of Palestinian land in the West Bank and in the past four years, 43,000 dunums (approximately 43 km2) of Palestinian land in the Gaza Strip has been destroyed. This massive assault on Palestinian agricultural resources has had a severe effect on Palestinian economic life and contributed to the worsening humanitarian crisis in the OPT. Chart (e) shows the number of dunums confiscated and razed in the West Bank during the year 2004. Israeli occupation authorities argue that the seizure and/or clearing of Palestinian land is necessary for ;security needs. In reality, most land seizure and clearing operations facilitate the expansion of illegal Israeli settlements and by-pass roads and the construction of the Segregation Wall. A careful analysis of the areas seized and/or cleared by the Israeli army for ;security needsreveals that most areas are bordering settlements or along by-pass roads or the path of the Segregation Wall. Destruction of Palestinian agricultural sector, including the uprooting of trees, destruction of crops, and the seizure of agricultural land, is also used by Israeli occupying forces as a form of collective punishment. The general civilian population bears the brunt of Israels policy of collective punishment. Land clearing operations are the most severe in the Gaza Strip where Israeli occupying forces have used armored caterpillar bulldozers to clear massive amounts of land and demolish Palestinian homes along the borders and close to illegal Israeli settlements and by-pass roads. In fact, Israel intensified its activities in Gaza in 2004 and more than doubled the area of Palestinian agricultural land bulldozed. Chart (f) shows the areas shaved in each Palestinian district in Gaza between 2003 and 2004. There was a 56% increase (1,241 dunums) in the area bulldozed in 2004 compared to 2003. Most of the destruction occurred adjacent to Israels Segregation Wall along the southern border with Egypt. Additional shaving was carried out along the eastern border of the Gaza Strip and around illegal Israeli settlements in the Gush Katif settlement block west of Rafah and Morag settlement to the north. The destruction is part of an Israeli project to create a buffer zonesand extend Israeli authority along Gazas borders and around its settlements. Israeli occupying forces bulldozed 2,358 dunums (a 76% increase since 2003) in the Khan Yunis District. The shaving served to expand Israeli controlled buffer zones around illegal Israeli settlements in the Gush Katif settlement block west of Khan Yunis and Morag settlement to the south. 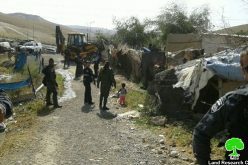 Other bulldozing operations cleared agricultural land and homes adjacent to the settlement by-pass roads accessing the settlements. Israeli shaving operations in the Khan Yunis District increased 63% (1,574 dunums) in 2004. The majority of the shaving occurred around the illegal Israeli settlement of Kfar Darom and along Israeli settlement by-pass roads in the area. Additional areas were cleared along the eastern border as part of the Israeli controlled buffer zone there. Israeli occupying forces bulldozed 8,302 dunums (a 216% increase from 2003) of Palestinian agricultural lands. Portions of the shaved areas in the Gaza District were located along Israelâ? ?s â? ?buffer zoneâ?? on the eastern border. The majority, however, were located around the illegal Israeli settlement of Netzarim and its by-pass road. Israel energetically expanded the shaved area around Netzarim this year, bulldozing large areas to the north, west, south and east of the settlement. The cleared land forms a security passageway serving Israel as an access strip to the seashore of Gaza. 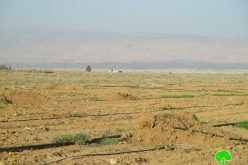 In 2004, Israel bulldozed 9,992 dunums (a 134% increase from 2003) of Palestinian agricultural lands in the Jabalya District. Shaving operations were widespread along the northern and eastern borders of the District and around illegal Israeli settlements located in the northwest of the area. Large areas were cleared as buffer zonesadjacent to Israels Segregation Wall in the north of the Gaza Strip. Israeli bulldozers also cleared significant areas around the town of Beit Hanoun in the northeast of the District. Based on these Israeli land-clearing operations, it seems unlikely that Israel will remove the settlements located in the northern part of the district (Dugit, Elie Sinai, Nisanit and the Erez Industrial Zone) as part of its disengagement plan, said to start this summer. The uprooting of fruit trees (mainly olive trees) follows the pattern of Israel&#39;s assault on Palestinian agricultural land. Israel has engaged in uprooting activities since from the first days of occupation in 1967. Since 1967 Israeli occupying forces have uprooted more than 1 million Palestinian olive trees. The policy has been used as a means of taking control of the land and expanding Israeli settlements and by-pass roads. Israeli occupying forces uprooted 52,069 fruit trees during 2004,. In the last four years, Israel has destroyed almost 400,000 olive trees in the West Bank. The trees had an estimated value of over $60 million. Because the agricultural sector comprises the main source of income for many Palestinian families, the uprooting policy has had severe effects on the Palestinian economy and contributed to the humanitarian crisis in the OPT. Chart (g) shows the number of trees uprooted in the West Bank during the year 2004. Israeli authorities generally justify these actions on the basis of military necessity and ;security needs; However, like the destruction of agricultural land, trees have been cleared from strategic locations in order to facilitate Israeli colonization of the OPT by opening new lands for Israeli settlements, by-pass roads and, most recently, the Segregation Wall. Thousands of olive trees have been uprooted in the West Bank in order to construct the Segregation Wall and in the Gaza Strip olive and citrus trees have been destroyed near the territory;s borders and close to illegal Israeli settlements and by-pass roads. Trees are also often uprooted as a form of collective punishment. This systematic attack on the fruit trees and olive groves of Palestine constitutes an immense economic and environmental disaster that promises to impact Palestinian society severely for generations to come. Many Palestinian communities are financially dependent upon the olive harvest. The annual income of generated by fruit trees comprises more than 25% of the overall national agricultural output and the olive crop alone makes up approximately 4.6% of the Palestinian GDP. Palestinian casualty statistics from the Palestinian Red Crescent Society, 2005 (www.palestinrcs.org). Israeli casualty statistics from the Israeli Ministry of Foreign Affairs, 2005 (www.mfa.gov.il). Palestinian Centre for Human Rights. February 25, 2004; and March 9, 2004 (www.pchrgaza.org). quoted in Ibid, February 25, 2004 (www.pchrgaza.org). Aluf Benn and Nir Hason, Ha;aretz, July 27, 2004. Palestinian Centre for Human Rights. 25 February 2004; and 9 March 2004 (www.pchrgaza.org). Ariel Sharon. Speech at Aqaba Summit. ; June 5, 2003.
 ;Forbidden Roads. B;Tselem. August, 2004. Magnetic identity cards were previously issued to residents of Al Mawasi in the southern Gaza Strip. See the report by the Palestinian Centre for Human Rights;Suffering in Isolation: A report on life under occupation in the Mawasi areas in the Gaza Strip;. The Palestinian Centre for Human Rights. (02 August 2003). Weekly Report on Israeli Human Rights Violations in the Occupied Palestinian Territories: 28 October â?? 03 November, 2004 The Palestinian Centre for Human Rights. (03 November 2004). Four Years: Intifada, Closures and Palestinian Economic Crisis, An Assessment. The World Bank. October 2004 (page xiii). Roy, Sarah. The Gaza Strip: The Political Economy of De-Development. (The Institute of Palestine Studies, 1995). Stagnation or Revival? Israeli Disengagement and Palestinian Economic Prospects. The World Bank, December 2, 2004. Click on links marked with blue for more details. All population figures from The Palestinian Central Bureau of Statistics, 2004 (www.pcbs.org); except Shu;fat Refugee Camp, from The Resource Center for Palestinian Residency and Refugee Rights, 2002 (www.badil.org). ARIJ Geographical Information Systems (GIS) Database, 2005. Hizma Village Council, February 2005.
 quoted in Ibid (25 February 2004 (www.pchrgaza.org)). 1 dunum equals 1000 m2 or frac14; acre. ARIJ Data Base, 2004. Source: The Palestinian Ministry of Agriculture (2004).